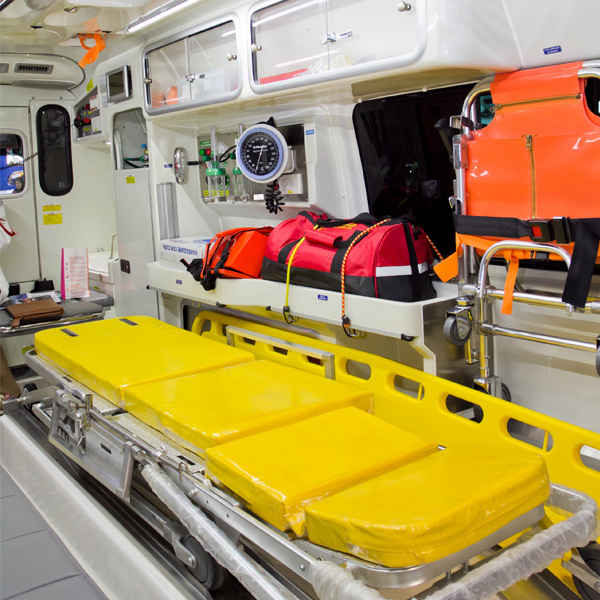 WHY STUDY EMERGENCY MEDICAL SERVICES PROGRAM AT NC? The Emergency Medical Services program prepares students for careers in pre-hospital emergency medicine and enables graduates of the program to work as Emergency Medical Technicians (EMT’s) and Paramedics in a variety of settings, such as fire departments and public and private ambulance services. This program is a combination of general education and EMS courses including class lectures, skills, and clinical hours in the hospital and the ambulance. The Emergency Medical Technician Certificate prepares students to function as entry level EMTs. The Paramedic program prepares students to function as entry level paramedics. 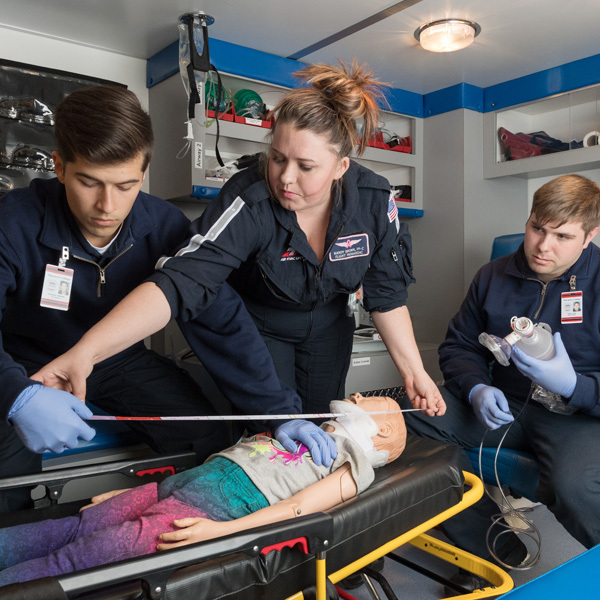 The Navarro College Paramedic program is accredited by the Commission on Accreditation of Allied Health Education Programs (CAAHEP) through the Committee on Accreditation of Educational Programs for the Emergency Medical Services Professions (CoAEMSP). To prepare competent entry-level Emergency Medical Technicians and Emergency Medical Technician-Paramedics in the cognitive (knowledge), psychomotor (skills), and affective (behavior) learning domains. Navarro College EMS programs meet the Texas Department of State Health Services (TDSHS) and The National Registry of EMTs (NREMT) requirements for certification eligibility. Upon successful completion of the EMT certificate program or the Paramedic program (certificate or A.A.S. degree), students must be eligible for TDSHS’s required National Registry of EMT/Paramedic certification examination. An applicant convicted of a felony and/or misdemeanor offense may or may not be eligible for participation and/or state certification. Any applicant who has a drug screening returned as questionable or positive, must follow the program’s policy of speaking with a Medical Review Officer and may or may not be dismissed from the program. A. The Texas Administrative Code (TAC) and Dallas-Fort Worth Hospital Council Foundation Community Standards Listen require that all students in health-related programs complete the following immunizations before applying to programs where patient contact is a component. B. If you know you will be registering for our Emergency Medical Technician program within the next year, you will need to start these now because some will take up to 7 months to complete the series. 2. You will learn more about these requirements after you have successfully registered for the current semester and you have received your EMS packet. Mandatory orientation dates are provided in the EMS packet after registering with a program. 3. Drug Screenings include urine and/or hair follicle samples. A study of accounting for merchandising,notes payable, notes receivable, valuation of receivables and equipment, and valuation of inventories in a manual and computerized environment. Prerequisite: ACNT 1303 or program coordinator approval. Instruction in a laboratory environment concentrating on development of practical medical skills and critical thinking abilities. Students will master a variety of skills appropriate to their training level by a combination of practice; use of mannequins, actors or other students, and stage scenarios. Required verifications of specific skills may be included. : Prerequisites: TSI Complete, CPR, BIOL 2401/2404, EMSP 1501, EMSP 1160, EMSP 1338, EMSP 1356, EMSP 2306, EMSP 2137, Co-requisites: EMSP 1355, EMSP 2444, EMSP 2330. A comprehensive course covering all aspects of the utilization of medications in treating emergency situations. The course is designed to complement cardiology, special populations, and medical emergency course medication in emergency situations. Students will demonstrate understanding of the pharmacodynamics, pharmacokinectics, indications, contraindications, possible side effects, and common drug interactions of a variety of medication used in out-of-hospital medic care. Prerequisites:TSI Complete, CPR, BIOL 2401/2404, EMSP 1501, EMSP 1160, Co-requisites: EMSP 1338, EMSP 1356. A detailed study of the knowledge and skills necessary to reach competence in the assessment and management of ill or injured patients in nontraditional populations. At the completion of this course, the student will be able to integrate pathophysiological principles and assessment findings to formulate a field impression and implement a treatment plan for neonatal, pediatric, and geriatric patients, diverse patients, and chronically ill patients. Prerequisites: TSI Complete, CPR, BIOL 2401/2404, EMSP 1501, EMSP 1160, EMSP 1338, EMSP 1356, EMSP 2306, EMSP 2137, Co-requisites: EMSP 1355, EMSP 2444, EMSP 2237. A health-related, work–based learning experience that helps enable the student apply specialized occupations theory, skills, and concepts. Direct supervision is provided by the clinical professional. Prerequisites: TSI Complete, CPR, BIOL 2401/2404, EMSP 1501, EMSP 1160, EMSP 1338, EMSP 1356, EMSP 2306, EMSP 2137, EMSP 1355, EMSP 2444, EMSP 2330, EMSP 2237, EMSP 1161, EMSP 2434, EMSP 2205, EMSP 1162, Co-requisites EMSP 2143. A detailed study of the knowledge and skills necessary to help reach competence in the assessment and management of patients with medical emergencies. At the completion of this course, the student will be able to integrate pathophysiological principles and assessment findings to formulate a field impression and implement a treatment plan for the medical patient. Prerequisites: TSI Complete, CPR, BIOL 2401/2404, EMSP 1501, EMSP 1160, EMSP 1338, EMSP 1356, EMSP 2306, EMSP 2137, EMSP 1355, EMSP 2444, EMSP 2330, EMSP 2237, EMSP 1161, Co-requisites: EMSP 2205, EMSP 1162. A detailed study of the knowledge and skills necessary to reach competence in the assessment and management of patients with cardiac emergencies. At the completion of this course, the student will be able to integrate patho-physiological principles and assessment findings to formulate a field impression, and implement a treatment plan for the cardiac patient. Prerequisites: TSI Complete, CPR, BIOL 2401/2404, EMSP 1501, EMSP 1160, EMSP 1338, EMSP 1356, EMSP 2306, EMSP 2137, Co-requisites: EMSP 1355, EMSP 2330, EMSP 2237.